So you've just bought a GoPro and wondering what kind of accessories you will need? This post is just for you. I've given a brief detailing of various popular mounts available and their purpose. Depending on your need and usage you can pickup a few of these. 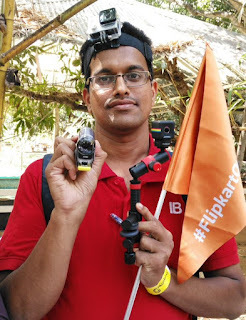 Photos from Flipkart Indiblogger Outdoors meet Feb 2016 where lots of action cameras were put to test. 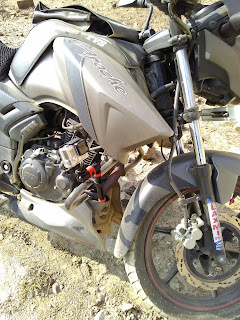 If you've not bought your GoPro/Action camera yet, do read this post before buying. GoPro FAQs are covered here. Below table lists 15 different GoPro accessories, their purpose and approx cost. May not be convenient if you've to wear a helmet too. Useful for hanging from random stuff. Note: Price is indicative, taken from Amazon.in at the time of drafting this post- may vary depending on brand, selling site, offers, time and so on. Combo deals are often offered clubbing 3 or more of above items- go for it if you need all items included in the combo. 1. Head Mount: I've used this extensively. Most common mount for regular tourists. Below shot during hot air balloon ride is clicked using 3 Way mount (though not visible in the pic). Longer sticks will give more wider perspective. 3. 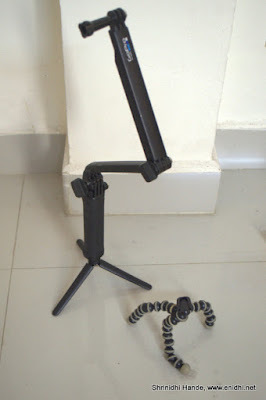 Joby Action Clamp GoPro stand that I had picked up in Singapore earlier this year- Can be fitted to bikes, edges etc. Check a sample video here. I have a cheap one bought online- which works but not 100% reliable. I use it very occasionally during car drivers, to mount the camera on the windshield. 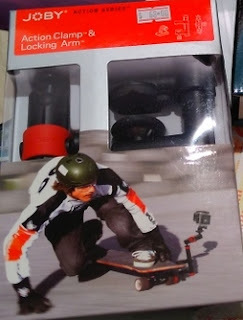 If the surface is not clean and flat, within minute the grip may fail and camera may fall off. There are many expensive models, which might be more capable. 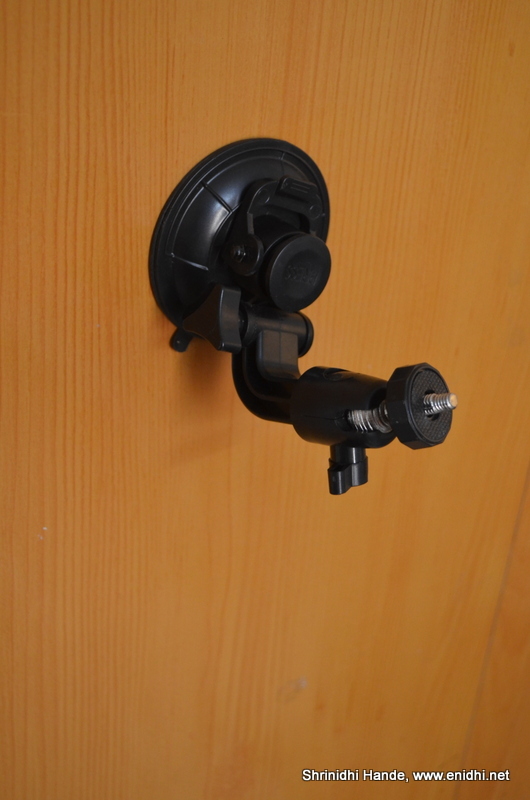 Strength is often decided by surface area of the suction cup. Holders with 3 different legs with suction cups are also available. What kind of accessories do I need? And more mounts specific to adventure sport you indulge. Do you find this post useful? Do comment and share. Ankita Sinha has a slightly different perspective in her post- which you may wish to check out. Wow, good comparison and details. I have to learn this style of reviewing a gadget! 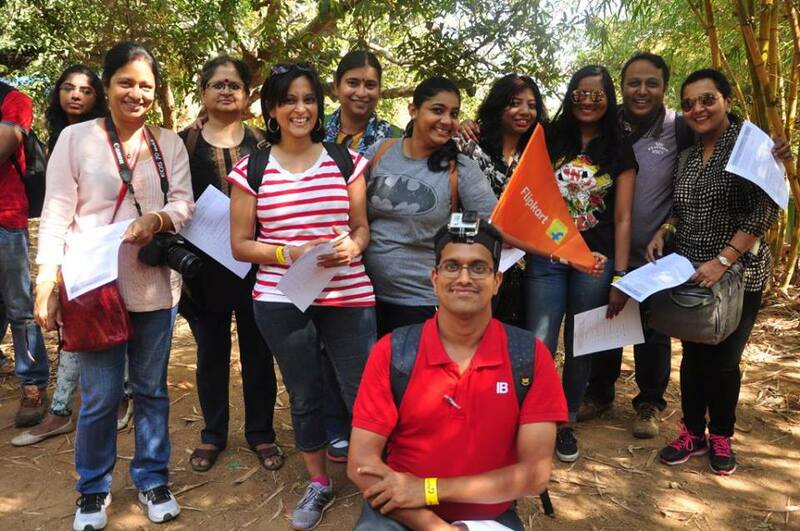 Thank you Shrinidhi! I am certainly going to keep coming back to this post!